(11/22/15) After the festival annouced the nominations for Best Film of International Film Festival for Documentary, Short and Comedy (IFFDSC) last week. Finally, the winner goes to Love At First Sight directed by Mark Payne. 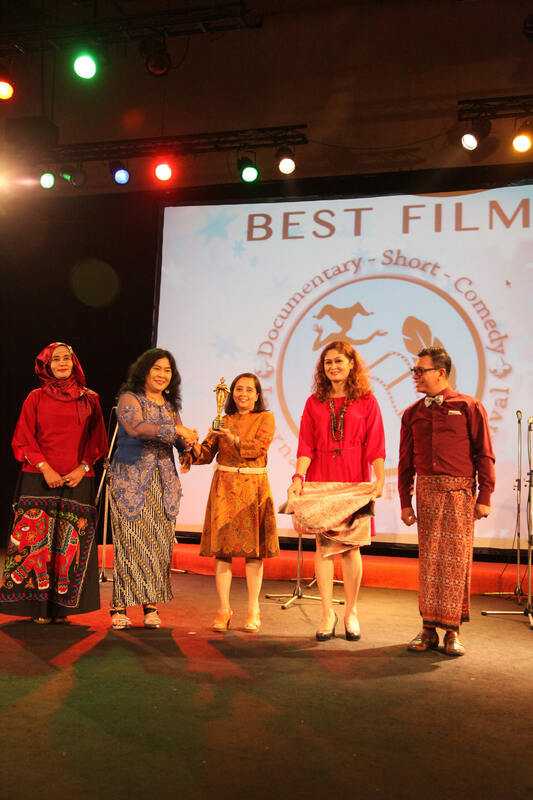 The festival announced the winner at Radio Republic of Indonesia’s main auditorium recently. This 14 minutes film tells a story about a lonely young man’s attempts to attract the attention of the girl of his dreams. Starring Shane Zaza who played in The Da Vinci Code film in 2006. This film is Mark Playne’s debut as a director. This movie has received awards from festivals from all over the world before it was announced as Best Film in IFFDSC. During screening on November 18, 2015 in the Universty of Indonesia, the film received ovation from filmmakers and graduate students in cinematography attending the event. “The reason why this film was chosen as Best Film, because it has certain qualities, funny and entertaining yet in the end we can actually cry of happy tears. I hope this film will inspire other filmmakers to make movies that’s funny, touching and inspiring like this.” said Damien Dematra while asked why the judges chose Mark Playne’s Love at First Sight as Best Film of IFFDSC. The festival was held by Indonesia People’s Creative Council, iHebat International Volunteers, The University of Indonesia, Care for Children Foundation, World Film Council, several High Schools and Radio Republic of Indonesia (RRI) as media partner and organiser.